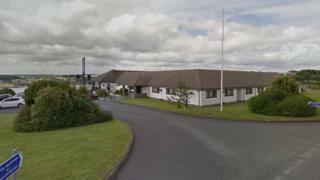 Around 40 workers will lose their jobs in the new year because of the closure of a Pembrokeshire hotel. The Cleddau Bridge Hotel in Pembroke Dock is due to close on 2 January, leaving the current staff out of work. They say they were told of the closure plans during a meeting with management this week. Pembroke Dock county councillor Joshua Beynon, who once worked at the hotel, said he was "saddened" by the news. Labour's Mr Beynon, said staff, some of whom have been working at the hotel for 15 years, were "shocked". He said he plans to consult with the Welsh Government to see if support is available for staff. BBC Wales approached the owners of the business for a comment, but they have yet to respond. Mr Beynon, who is also a Pembroke Dock town councillor, said: "It is sad news to hear of the closing of the Cleddau Bridge Hotel. "The hotel is an employer of around 40 full and part time jobs and this will deeply affect the area. "As a former employee of the hotel I still speak to some staff members who have informed me that it was only yesterday (Wednesday) that they received verbal notice that the hotel is due to close. "The staff have not received anything written to date and it is an awful time of year to lose their jobs. "I have written to both the owners of the hotel and Welsh Government asking for support to be provided to workers at this time."